With squirrel spying for the antagonist, Willow the Vampire needs a creature of the night that can be her eyes and ears in the villain’s camp. Unlike James Bond, real spies I imagine are unassuming, non-descript sort of people – let’s face it, if a chap built like Mr Daniel Craig walked into your office, you’d remember him for a VERY long time, wouldn’t you? In fact, he’d be the talk of the office for weeks! 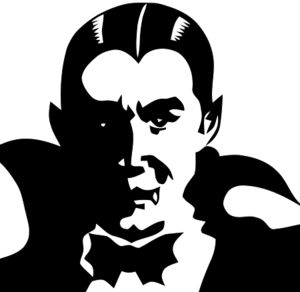 Willow the Vampire therefore needs a nocturnal creature that’s so familiar in our landscape – rural or urban – that we don’t bat an eyelid when we see it. Budding young author Sarah Baethge (The Speed of Darkness) voted in favour of foxes the other day and I think she’s got a very good point. Foxes have had a rough time over the centuries and have received an awful lot of bad press. To me, people who indulge in blood “sports” are nothing short of obscene, deranged monsters, but to many the hunting of foxes with hounds is a great amusement. They claim that foxes are vermin and therefore have no right to complain if they are hunted to exhaustion and then torn apart by dogs. Hm…it could be argued that this is EXACTLY what should happen to bankers, politicians and all those who indulge in blood “sports”. In fact, judging by the worldwide press and comments on the internet, there’d be millions of people in favour of making this a new Olympic discipline! As a child I used to visit my uncle and aunt, who at that time lived in a small town at the Dutch/German border, where my uncle worked as a customs officer. He was a keen huntsman, but deplored the practice of gassing fox and badger sets and would have been disgusted at hunting animals with a pack of hounds. One day he discovered a burrow full of dead foxes – a mum and her litter. 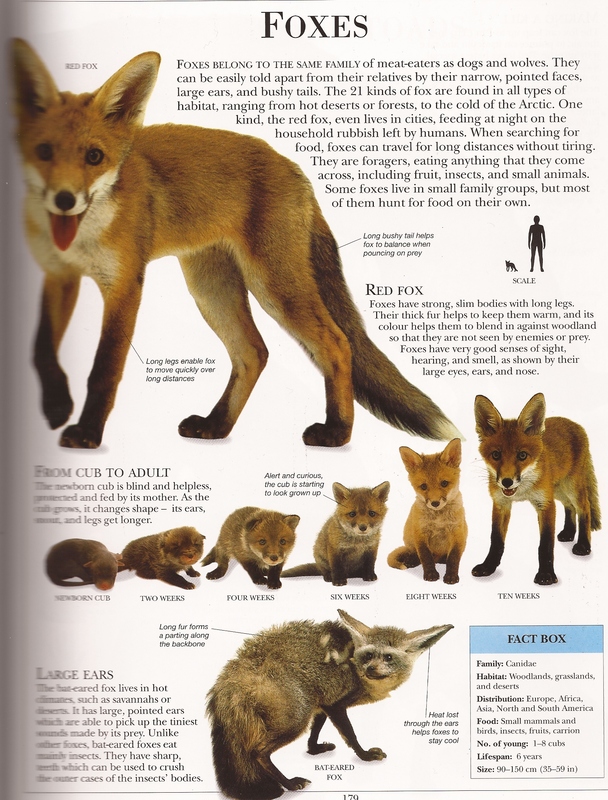 Only one tiny fox cub was still alive. He took it home and nursed it back to health with the view of one day releasing it back into the wild. After a long, drawn out battle with the might of the Deutsche Bahn (German Railways), the little fox travelled for free – and I guess we all knew at that moment my cousin would one day be joining the legal profession (she later became a judge). Many years later, when I lived in south-east London, I had a family of foxes visiting my garden on a regular basis. One foxy mum even brought her young ones to see my shed in the early morning hours. They would climb up on the roof, from which they had a great view of the 90 foot, back-to-back gardens on Telegraph Hill. Their child-like cries would wake me up and their peculiar scent marking would terrify my cat. 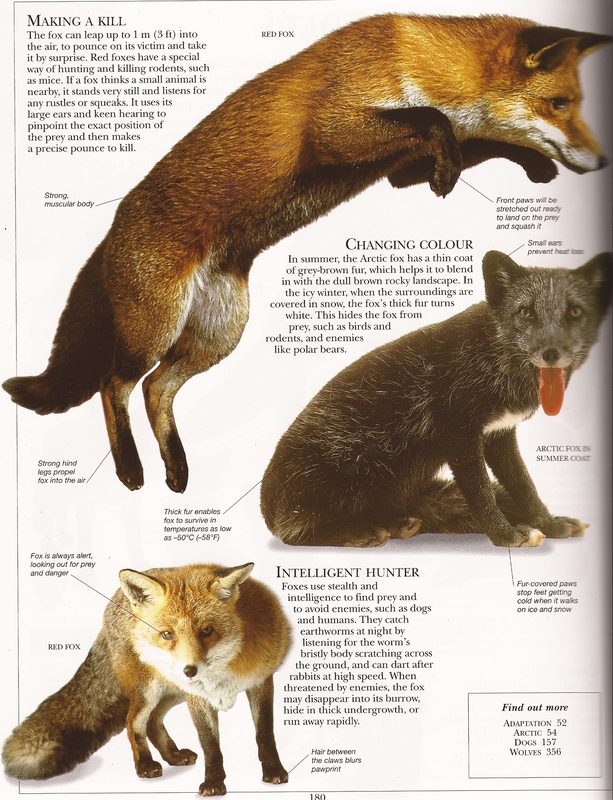 Foxes are incredibly agile, being able to leap up to a meter into the air before pouncing on their unsuspecting victim with deadly accuracy (rats, voles, mice, frogs, snakes). Foxes have incredibly good hearing, as they will stand still in the high grass or undergrowth listening out for any little rustling noise, high pitched squeak or swishing mousy tail. Their new born cubs are blind and helpless, looking very much like puppies, but after two weeks the cubs begin to change, their legs, ears and snout become longer, their coat changes colour from a non-descript brown to a rusty red. Being able to change your appearance is a great asset for a spy – in winter some foxes are able to change their red or brown coat to white (Artic fox). Eventually, their mum takes them out and at eight weeks the fox cubs used to scamper about in my garden, as happy in the warm morning sun as any human toddler. When it was time to go to “bed”, they would snuggle up to their mum in the undergrowth that lurked at the bottom of my garden – that bit I’d never gotten round to tidying after I’d moved in. 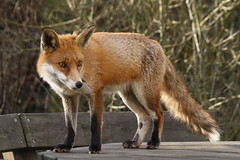 Willow the Vampire will need a foxy friend, who’s smart, streetwise, has excellent senses of smell, hearing and sight. Willow is going to face some pretty monstrous opponents in her next adventure and needs all the help she can get! It also pleases me to think that the squirrel, which we all think is so harmless and cute, will be acting on the side of the villain, while an animal like the much-maligned fox will be acting on behalf of my heroine. What a lovely post. 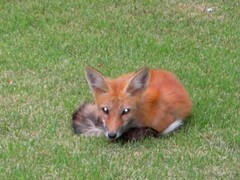 I have to be careful what I leave in the garden as the foxes think they are toys for some strange reason. The other curious incident I have noted from a fox here is playing games with a cat. They had a rare old time together and it went on for so long that I had to get on with what I was doing. Anyone else witnessed anything of this nature? The foxes in my garden always took an interest in my cat Bunny, but she was so tiny, I was always worried they might regard her as dinner. Poor little mite. I can understand you thinking that. I think the fox who was having such a good time with the cat was quite a young fox. Maybe, an older fox wouldn’t have been so playful and kind. Hahaha! I like your cousin working to get that fox on the train!